Change is not only inevitable in every corner of our lives, it is essential in any business environment. The primary drivers of change in the market are technological innovation, macro-economic, demographic, and social forces. Companies that cannot anticipate and respond to the changes in the marketplace will cease to exist, and this is happening now. The list of major organisations that have gone out of business because they were not able to evolve is large, including, Kodak, Tower Records, Circuit City, Blockbuster, Compaq, etc. The way we work, the tools we use are all constantly evolving and transformative. At present, we can only speculate on the full impact digital technologies, including artificial intelligence (AI), machine learning and robotics will have on the economy and society. There is already an evidence that it will be as disruptive as the industrial revolution, which marked not just a change in the means and modes of production, but a significant cultural and political shift. The demographic structure of the workforce will change. The workforce will be composed of a mixture of generations. Generation Z digital natives, also known as the post millennials (born from 2000-2009) alongside Generation X who will stay in employment into their late 60s and beyond. By 2025, according to a Deloitte study, nearly two thirds of the global workforce will be millennials (born between 1980-1999) whose attitudes and priorities differ from previous generations. They are the most tech savvy generation yet, prioritising flexible working conditions. The workplace of the future must be redesigned to meet the needs of the new generations of working professionals – including considering cloud computing and AI. Young people will be looking for more flexible working arrangements that provide for better work-life balance. 50% of the workforce may be working as freelancers; 30% of companies will have more than half of their staff working remotely at one time. This will further encourage the growth of co-working areas that encourage collaboration. AI and intelligent security platforms will have to be integrated into office environments to provide secure access to data and communications. Many clerical and routine tasks will become obsolete with increase in virtual assistants. Businesses must start thinking about how to adapt office space, infrastructure, organisation and data management to support a workforce that is reshaped by AI. By 2020, experts anticipate up to 50 billion interconnected devices, streaming data and sharing metrics. Sabbagh gives as an example: GPS data to locate the best parking spaces, holographic receptionists to meet and greet visitors, wearables to improve worker comfort, health and safety. Businesses will be more environmentally accountable, and will be motivated to reduce their environmental footprint by using smart technologies to manage energy usage, making more use of offsite cloud data centres and SAAS. To sum up, organisations must begin thinking about how to create sustainable workplaces that suit different kinds of people, from different generations, with different needs and experiences. As routine and clerical tasks become more automated or contracted out, office workers will become more valuable, because they are “knowledge” workers, tasked with creative problem solving. Companies will expect their workers to be flexible, innovative and adaptable. Change is difficult. People often resist change, particularly in a business setting. The vast majority of corporate change initiatives fail dismally. McKinsey and Company research indicates that up to 70% of corporate transformation projects fail. “After six decades of study, untold investment, and the best efforts of scholars, executives, and consultants, most organisational change efforts still underperform, fail, or make things worse.”  Everyone agrees that change is required to maintain a healthy developing business, but how to adapt to change, bring about needed change and to manage the unavoidable disruption is a topic that has filled thousands of business books, whitepapers and business school courses. There are few easy answers. But an increasing volume of research on change initiatives is looking at the role of the workplace setting itself in facilitating and mediating change. Some organisations have begun to use workplace redesign and relocation as a catalyst to introduce organisational change. A much-cited white paper prepared by Haworth, an office workspace designer and manufacturer, cites extensive research showing that architecture, interior design and furnishings can help bring about and support organisational change. Simply changing the layout of the office space, can alter the way employees interact and collaborate. Office design can foster or impede innovation, create or destroy collaboration, improve or destroy working relationships. It is only logical therefore that to increase employee focus and productivity, companies should implement changes in the workplace environment. According to Gensler’s WPI Analytics study, positive changes in the office can increase workplace productivity by up to 20%. For companies, availing a safe, healthy, and agile working environment can increase employee engagement, focus and concentration, leading to cost savings and increased profitability. An office fit out or retro-fit that is well-designed, that considers employee issues and concerns, and that facilitates agile working can improve employees’ physical and mental health. On the other hand, workplaces that ignore employees’ well-being, in terms of access to nature (biophilia), acoustics, thermal comfort, personal space, and others, create dissatisfied and disengaged workers. And employee disengagement can be very expensive. Gallup’s 2017 State of the Global Workforce reports only 15% percent of the global workforce feels truly engaged. Employees that are psychologically engaged are dedicated to their work and eager to create extra value by making positive contributions to their organisations. Disengaged employees are costing the global economy US $7 Trillion in lost productivity. In the UAE, the rate of employee engagement is nearly the same as the global level which is 16%. Gallup observes that most employees are “not engaged”. They are not the worst performers, but they regularly fail to make their best effort and do not exert themselves for their organisations. Meanwhile, 18% of workers are “actively disengaged”. They are negative, resistant and create difficulties in the workplace. Engaged employees are active, positive and make an effective contribution. Engaged employees create value through increased customer-client satisfaction and increased productivity. Greater engagement delivers a better bottom line. Motivated employees perform better. A 2014 University of Warwick study discovered that a happy worker is 12% more productive, while an unhappy worker is 10% less productive. If an organisation can embed its company culture in its working environment through a well-designed office, the outcome will be happier, more engaged and productive employees. A new office fit out, or a retro-fit of an existing space can provide an invaluable opportunity to transform a company’s culture, to implement change, while minimising resistance. Creating working spaces that enhance comfort and agility increase employee well-being. In Dubai and across the UAE, the government is keen to adopt measures to facilitate new working arrangements more in line with this more digital age. The Dubai government’s new human resource laws indicate a move toward more flexible business models including a focus on creating a culture of creativity, performance and results, rather than merely “presenteeism” in offices. The new laws announced this summer provide government employees with more vacation time and the opportunity to work remotely. Over 30 percent of our life will be spent at work. It is critical that we spend this time in place that is healthy, clean and safe, that encourages innovation, cooperation and that promotes productivity. We have previously discussed the many benefits of Green office fit out to employee health and productivity. Summertown, since its inception, has carved out a unique place for itself among Dubai and Abu Dhabi based commercial fit out contractors. Summertown has and always will be at the vanguard of thinking about better workplace solutions, greener, more sustainable and more human. At Summertown, we do not just fit out offices, but engage with our clients and employees to create spaces for living and working. We understand that creating a sense of well-being and engagement among employees requires much more than just attending to their basic physical needs for space, adequate lighting and thermal comfort. Adaptive and flexible office fit out goes beyond this to foster a sense of psychological security and connection. Enabling individuals to work together cooperatively will boost their productivity and reduce stress levels. 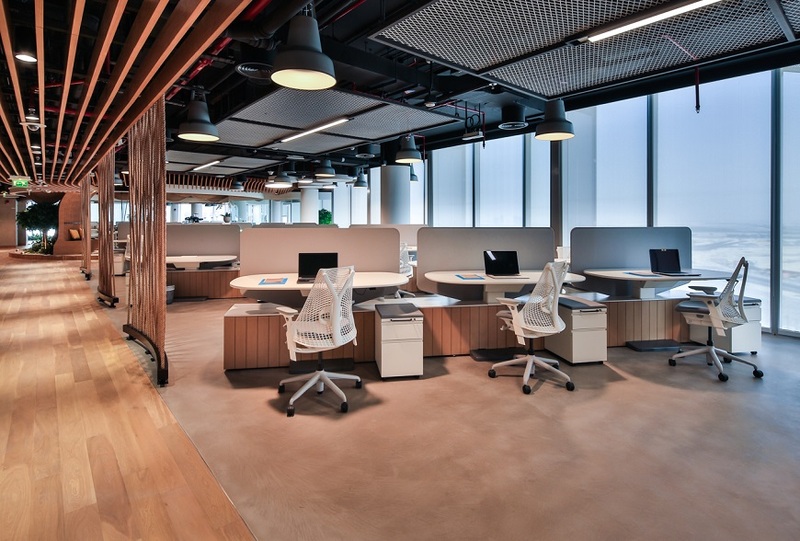 Agile office fit outs make use of the most up-to-date technologies to facilitate work seamlessly, taking into consideration the different needs of a diverse workforce, some of whom will be working remotely at least a portion of the time. 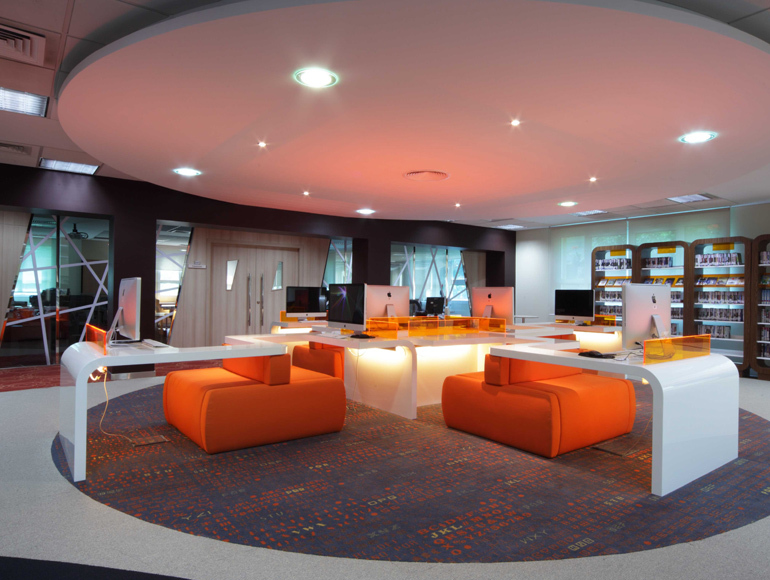 The most modern productive offices are the ones that create an agile working environment. This means incorporating break-out spaces for focused work, communal areas for team efforts and spaces for eating, connecting and relaxing. Gone are the days of the grey cubicle farms, the one size fits all. 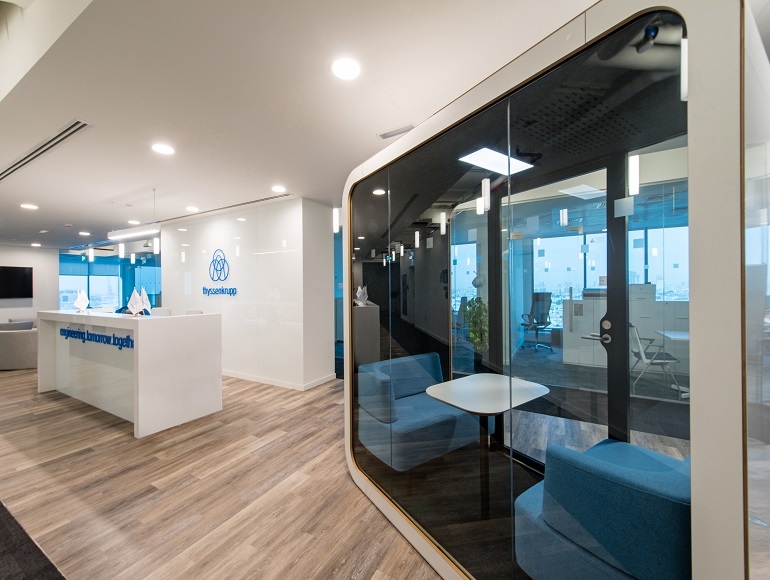 Each company now needs to reflect its vision of itself in the layout of floor plates, choice of colours, placement of lights and use of biophilic elements. 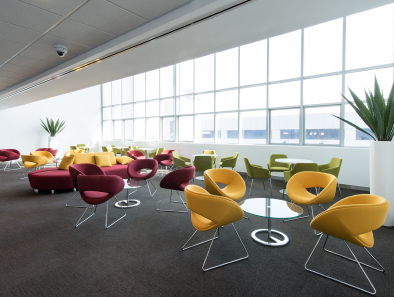 Offices must have dedicated areas for agile working as well as rest and recreation. Workplaces have to make use of different kinds of spaces and provide seamless access to different technologies, while providing the ability to scale up and down according to business needs. Employees need to be given more control over how and where they work. 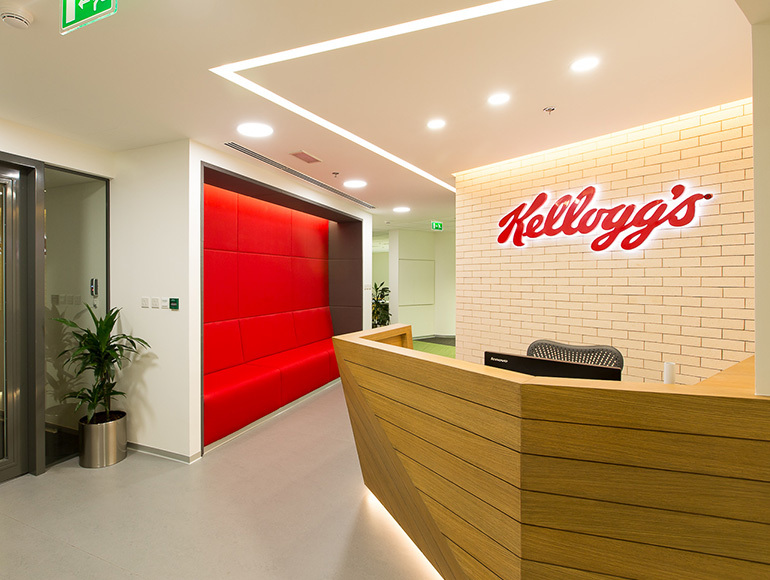 Incorporating company culture into the design of working spaces is just as important as creating a unique brand identity. Summertown Interiors has helped several leading organisations to realise their vision of distinctive working environments. Deliveroo is an innovative food delivery start-up launched in Britain in 2013, allowing customers to order from restaurants that do not normally have a delivery service. Deliveroo connects restaurants and customers with delivery couriers “drivers”. It operates in more than 200 cities around the world. 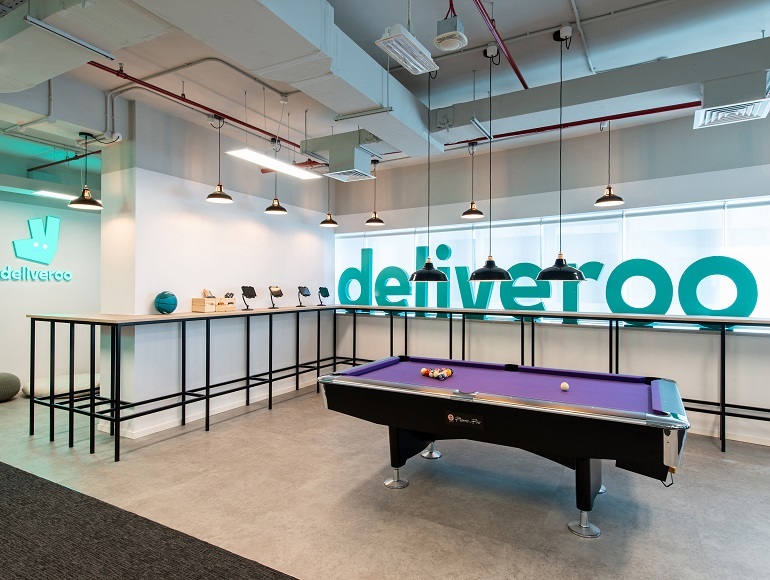 Deliveroo’s Dubai expansion meant that they needed a new workspace to accommodate their growing workforce, and one that reflected its contemporary fun culture and values. Working on a tight project timetable, Summertown helped to create an environment, that while ultra-modern, it also provided much needed space and re-creation and collaboration areas. 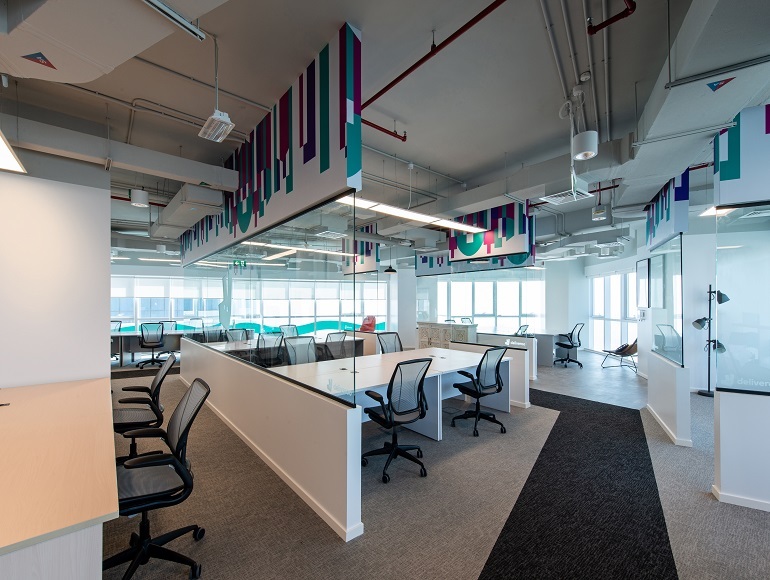 The brief was to execute an office space which reflects Smart Dubai’s identity as a progressive, innovative organisation, while also providing the right environment for a creative, productive and engaged workforce via seamless technological integration. 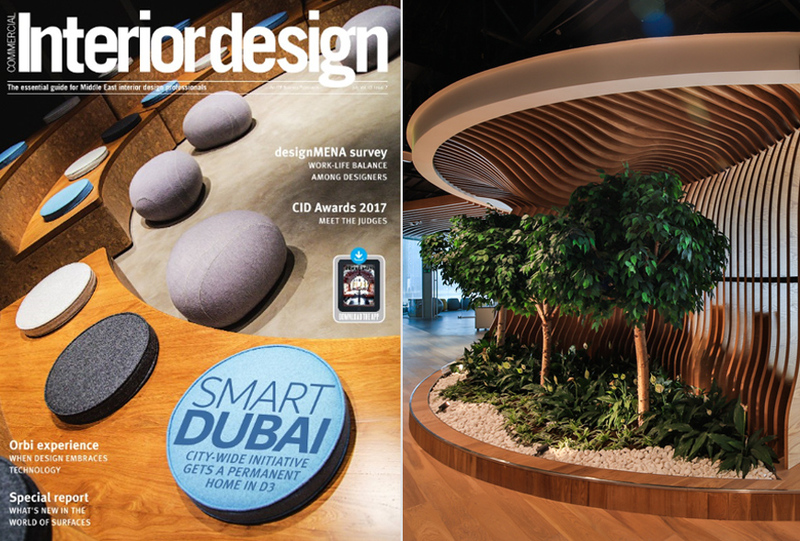 Located in Dubai Design District (D3), the Smart Dubai Office is the technology arm of ‘Smart Dubai’ an initiative to transform the region into the world’s smartest and happiest city by 2021. Live landscaping, plants specifically chosen for their added value to the environment. For example, the spathiphyllum lilies were chosen as they act as a natural air purifier. Dubai Women’s College wanted their new library to help achieve their mission of fostering the intellectual and emotional development of the female students. Summertown’s goal was to transform the existing library into a vibrant, welcoming, working environment conducive to debate, research and reading. 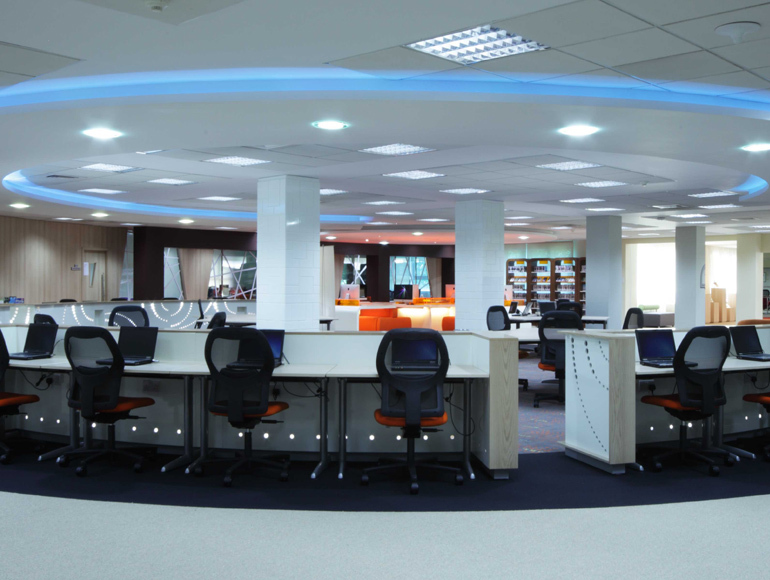 To achieve this, new open-plan work spaces were created for team interactions and group study sessions; comfortable seats were used and funky bright colours were also added on the walls and furnishings; reception desk was also renovated to make it look more inviting. A new office fit out surely gives organisations an opportunity to implement change and helps in improving the company’s culture and work environment. However, hiring the best fit-out company is imperative to achieve this goal. Being the first UAE fit out contractor to have received the LEED Gold Certification for its own office interiors, Summertown Interiors will not only offer you a quality interior fit out that will improve your workplace culture and promote positive change; they can also provide you sustainable options that will help you save the over-all operational costs. Get in touch with Summertown today and learn more on how they can assist you in implementing change within your organisation.